If you think all of Bob Dylan’s earliest, unreleased recordings have already been issued through the previous installments of the Bootleg Series, you are definitely mistaken. 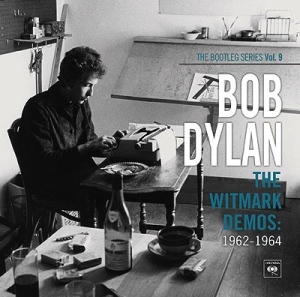 Apparently there was more music to be unearthed and it comes in the form of the excellent and awesome Witmark Demos, 47 tracks that Dylan recorded for music publishing companies Leeds Music and later M. Witmark and Songs in the early 60s. Featuring only his voice and guitar (with some piano), Dylan showcases some of his famous songs that would be later featured on his albums– such as Blowin in the Wind, A Hard Rain is Gonna Fall, “The Times They-Are-A-Changin’” and “Girl from the North Country.” There’s even music that has not been ever on a Dylan studio album until now such as “The Death of Emmett Till” and the lovely “I’ll Keep it With Mine.” (If you were lucky enough to buy the special edition of this set from Amazon, you would have also received a bonus disc of an early Dylan concert at Brandeis Univeristy in 1963).